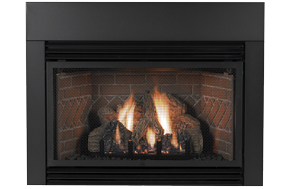 Investing in a Small Innsbrook Vent-Free Gas Fireplace Insert equates to investing in the comfort and safety of your home. Read below to familiarize yourself with a few features this classically-styled insert can bring to your home that other inserts can't. First of all, this versatile unit can be installed as a zero-clearance fireplace or as an insert in your existing fireplace. 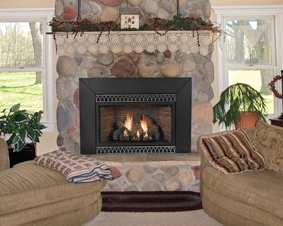 The realistic hand-painted ceramic fiber logs create a great look in the hearth while the extremely efficient Slope Glaze burner cranks out up to 28,000 BTU's. You'll get the included ultra-quiet, variable speed blower, convenient remote-ready millivolt controls, and a brick liner that provides a traditional masonry appearance. Besides the bells and whistles, though, this insert also comes with an Oxygen Depletion Sensor to prevent accidents during operation and a 5-year limited warranty for long-term peace of mind. Whatever your needs or expectations may be, the Innsbrook can tackle them all. How big of an area will it heat? This insert can heat approximately 600-1,000 square feet. Both items will work as they are listed accessories for the insert in question and nothing else would be needed. I see that there are 3 different "surround" options listed. Are these separate purchases or do you choose which one you want to have included with your insert? The surround required for installation on this insert are indeed purchased separately. The literature is simply saying where the gas connection should be made on the insert and not where the actual gas line should be plumbed. Does this unit have an intermittent pilot light option? Thanks. 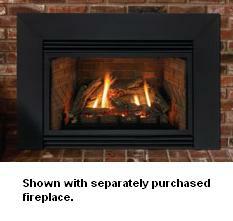 There is the Empire VFP28IN73LN Innsbrook Vent-Free Fireplace Insert with intermittent pilot. Does this include log set and a remote ? This unit comes with the log set but a remote would need to be added as an accessory. Where is the gas supply line located? Facing the unit, the gas connection is on the right side. Would this fit a fireplace that is 36 inches wide? So long as the other dimensions meet the 30 3/4" W x 21 1/2" H x 14 1/4" D minimum hearth requirements for installation of this insert, you should be able to install this product without issue. I am interested in purchasing this unit for my home. I have a unit in place now that I am replacing, and would like to place it in the same mantle piece. My outside measurements are 34' w x 31" h . I want to know if this piece would fit in my current mantle. 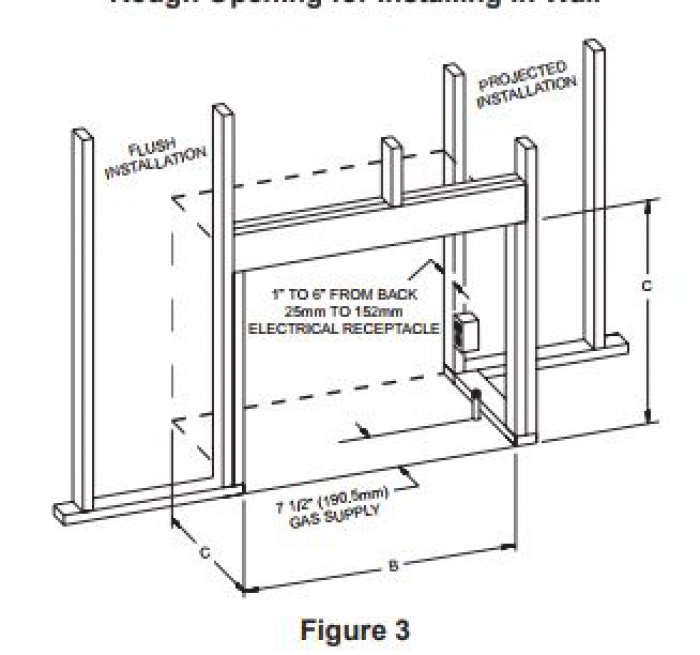 We will need additional measurements to determine if this will work, but you can view the framing dimensions on page 10 of the installation manual to see if this model will work. 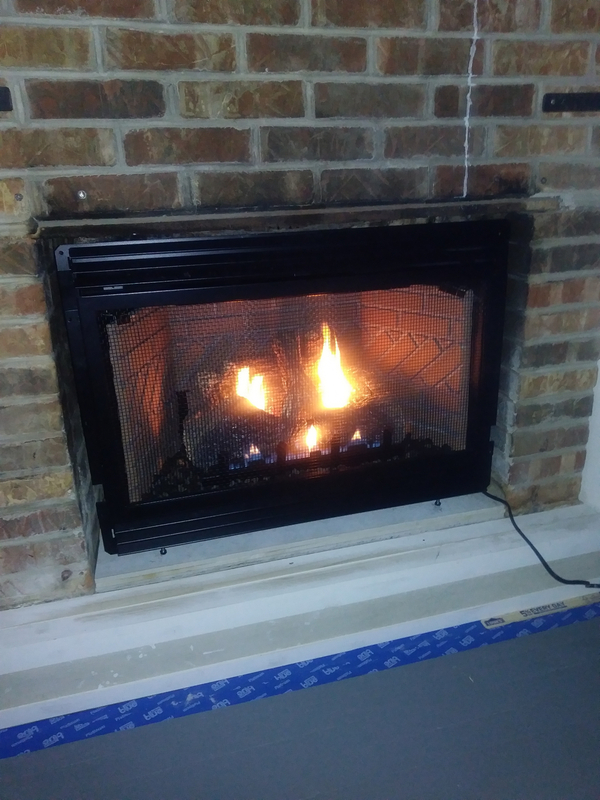 How many BTU's does this Empire medium Innsbrook vent-free gas fireplace insert with millivolt controls put out if it is running full blast all day? This unit has an input of 28,000 BTU's per hour. It is not meant to be run all day due to it's use of combustion air from the room during operation. It should not be used for longer than 3-4 hours at a time. Will this light if there is a power outage? It will indeed. The product uses a standing pilot and does not require outside power for operation. How much does this unit weigh in the box? This unit will arrive via freight carrier on a pallet. The approximate weight of the pallet and packaging will bring the shipment to 105 pounds. The unit itself weights 78 pounds when fully uncrated. No, they must be purchased separately. The louvers shown in the item picture are the Empire Decorative Arch Louvers, available in matte black and hammered pewter. You can see these in the "Accessories" tab on this item page. The Btu rating on this insert is 28,000 at its highest setting, and this can heat approximately 800 square feet. Does the enclosed gas insert include glass door? No. Since this is a vent-free unit, it will need to utilize room air for combustion. As such, there is no glass door on the unit nor is one available. The insert does come with a safety screen. 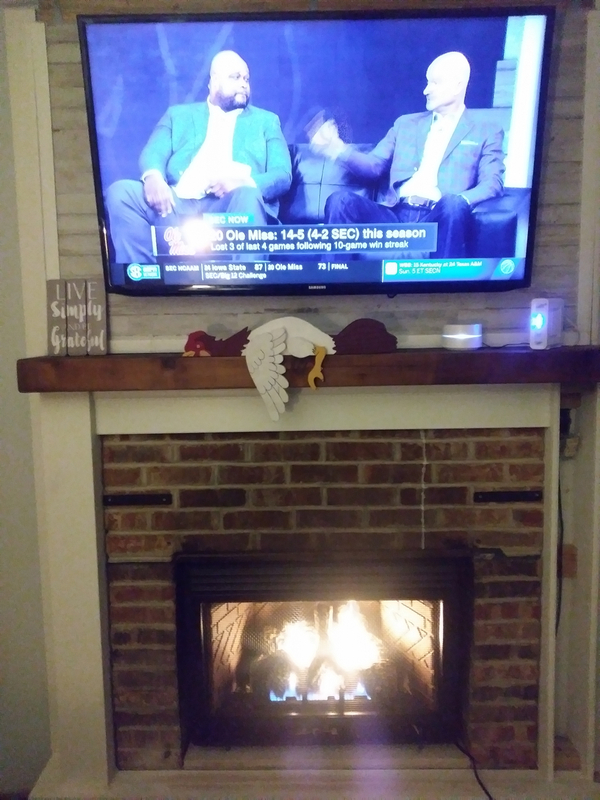 The fireplace looks and works great and was a breeze to set up and hook up. Best money that I have spent. This product is well worth the money and really adds to the home. The unit was easy to install, but has a loud motor. The motor did not work when a licensed plumber installed the unit. After some troubleshooting, he discovered that one of the screws from the top base plate extended through to the motor impeller, preventing the motor from spinning. This was corrected and the motor started working, but it does have a humming noise. ProsEasy to install, but the installation manual for the remote was not properly written and included confusing schematic. ConsSome poor fitting parts and noisy motor. Fit well and easily installed. Customer service has been very helpful with all questions. 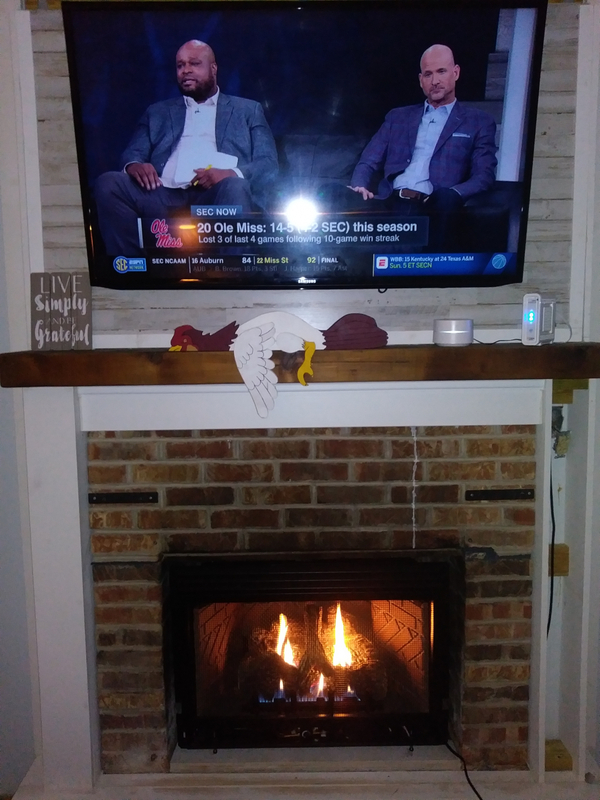 I am extremely happy with my fireplace insert. It is absolutely beautiful. I am considering a remote bc I find it slightly inconvenient to remove the bottom panel every time I want to turn the fire on and off. Fantastic company to deal with, they keep you informed of delivery date and give specific instructions how to inspect package. Prompt response to questions after delivery. I would high recommend them. Just installed and it looks great.. Very quick to ship, very professional, and easy to deal with! I can't say enough good about this unit. Installation went fast with no problems. cannot meet the customers demand. So ordering online is the way to go. 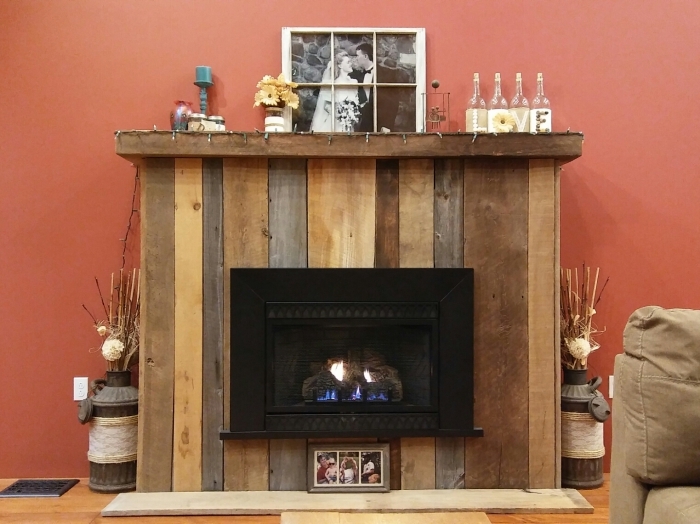 Prompt shipping and WOW what a beautiful fireplace! 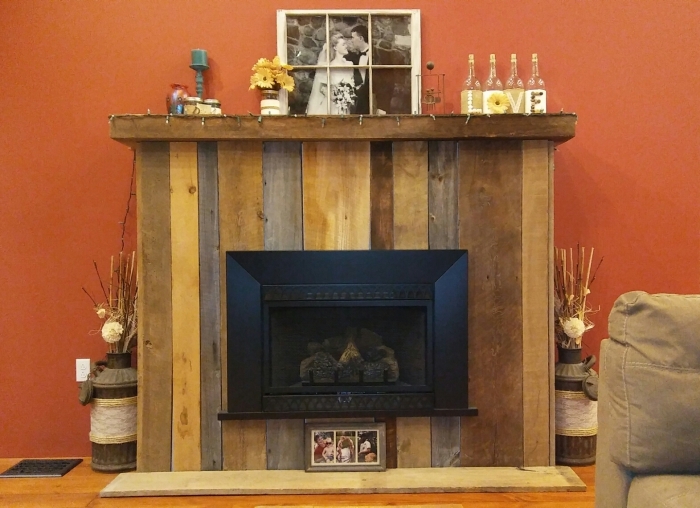 Exactly what our customer wanted in their new fireplace! It is great and Beautiful. 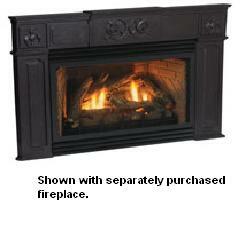 We were quoted $6000.00 to have a vented fireplace installed but chose to go the ventless route. It looks beautiful and warms the room.